Last month we announced two exciting new features for Power Map, including support for Filtering, and the ability to plot data on top of Custom Maps. This month we’ve focused on providing quality improvements. We’ve made more fixes in Power Map than in any monthly release so far spanning filtering, custom maps, timeline, tour playback, accessibility, look and feel, 2D charts, and stability. 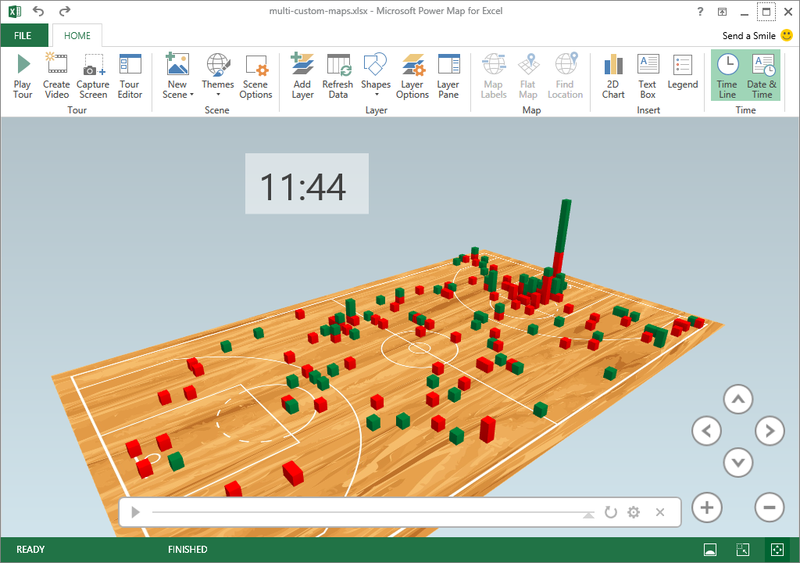 Please continue to provide your feedback and report any errors by clicking the button in your own Power Map tour in Excel. Power Map is part of several analytics and visualization features in Excel, more info at Power BI for Office 365. Power Map is available to all customers with an Office 365 subscription. If you have automatic updates enabled for your Office 365 subscription, you should receive this update soon. If you don’t have automatic updates enabled in Excel, go to File > Account > Update Options > Update Now.